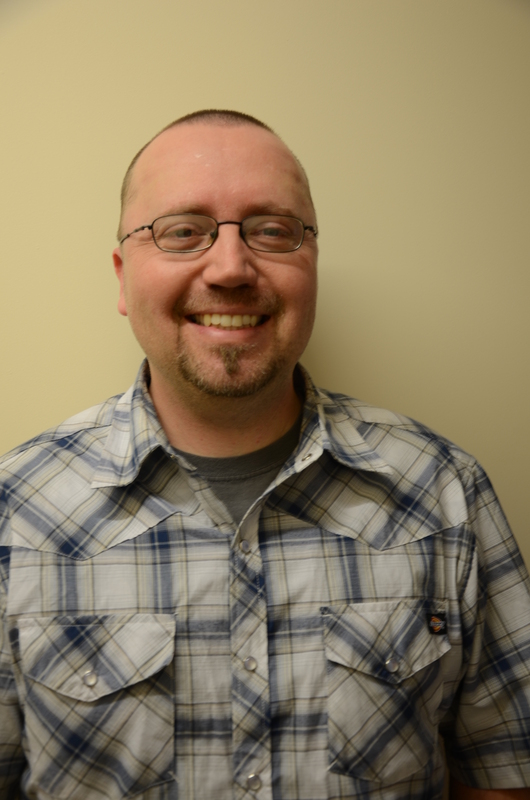 We’re thrilled to announce that our Carpenter on Call Manager, Jeremy Gould, has recently been confirmed as a Certified Project Manager through the National Association of the Remodeling Industry. This vigorous certification process requires 16 hours of coursework and the successful completion of a 3 hour exam to demonstrate knowledge of project management skills and procedures. We are so proud of Jeremy for his hard work and commitment to ongoing professional development to improve the skills and resources he can offer to Arciform clients. How long have you worked for Arciform? What was your first position with the company? 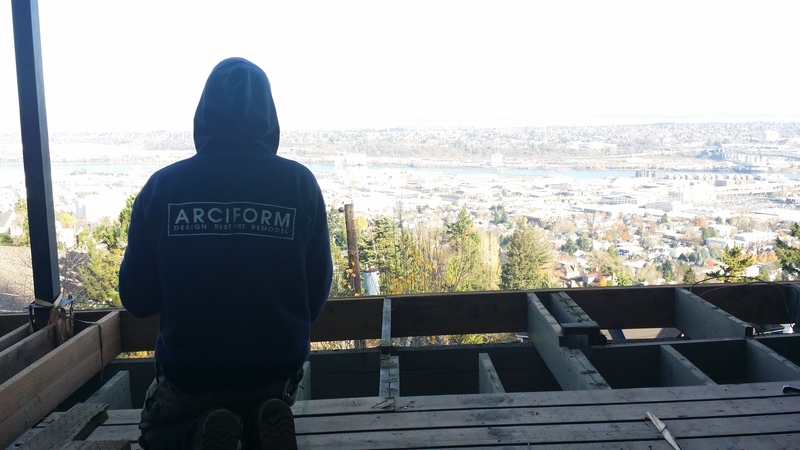 I have worked for Arciform for 3 ½ years now and I started as a Lead Carpenter where I obtained my “Certified Lead Carpenter” certification also through NARI. What’s your favorite part about the work you do here? I really like the wide diversity of projects that I get involved with here at Arciform. I’m the type of person that will get bored pretty fast if I’m doing exactly the same thing everyday. I very much enjoy having projects that present unique (outside the box) challenges to work through that do not really have an obvious solution. For instance, I recently put together a project where the client asked if I could make his master bathroom door a motorized sliding door that was operated with the push of a button. I also recently finished up a project that we installed an interior “slide up” door custom built by Versatile Wood Products. Tell me about a project you worked on this last year that you particularly enjoyed. I recently completed a deck project that I really enjoyed putting together due to some interesting challenges. The first challenge was the fact that the deck is roughly 30 feet in the air hanging over a hillside. The second challenge was a request made by the client to have a flat stone surface for the deck. The existing deck was as much as 8” out of level in some areas. Her third request was to have a hand railing system that was as invisible as we could make it so that it didn’t block her gorgeous view of the city. We ended up installing a membrane deck surface on the existing out of level deck joists and then installed 24” x 24” concrete tiles on adjustable legs sitting on the membrane. The result was a level concrete surface that moisture passes through and then runs off of the membrane beneath. Next, we installed a glass guard railing system with a ½” thick top rail and 1 ½” posts that we powder coated black (so they are invisible at night). Lastly, we installed a rot proof fascia that was wide enough to cover the fact that the membrane deck and joists were 8” out of level so it looks nice and straight from the street below. I enjoyed working on this project because I got to design it, estimate it, sell it and then project manage it. Sounds like Arciform keeps you pretty busy. What do you do for fun? 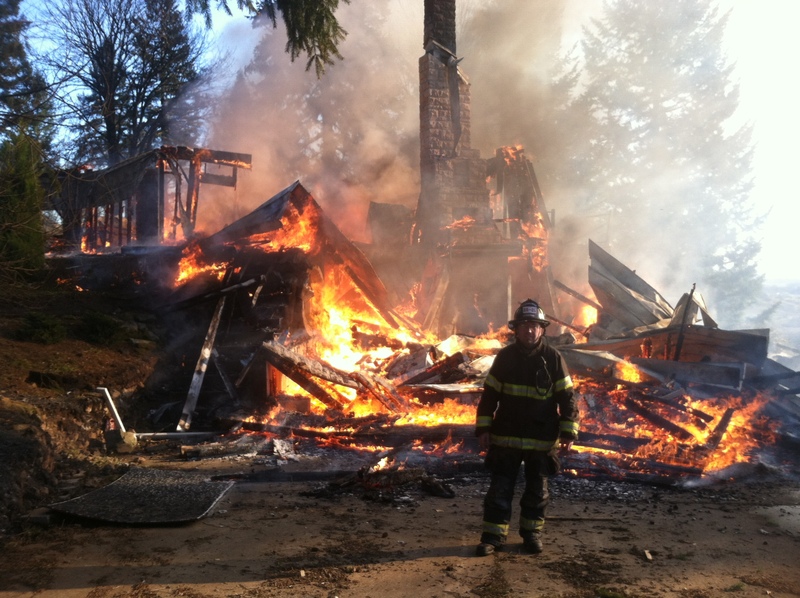 I am a volunteer Firefighter/Engineer/EMT with Newberg Fire.. I typically will work 2 – 3 shifts a month from 6PM until 6AM where I stay at the station overnight. When I am on shift I am in charge of Engine 21. I drive it to any call it gets called out on and then I am responsible to make sure it’s ready for the next call afterwards. I recently got qualified to drive our new patient transporting engine which is one of only a very few in the state. Also, every three months or so we do an all-day training burn where we will train on a house that someone donated to us to have burned down. My role during training burns is usually a crew leader training the probies. I love being a volunteer firefighter partially because it allows me to be an asset to society. I’m not the kind of person that looks to the government or anybody else for any kind of assistance. I also love it because lets face it! It’s really fun! Nobody ever says they wanna be an accountant or a computer tech when they grow up, they wanna be a firefighter! Driving that engine with the lights and sirens goin’, headed to a big fire where you can see that giant smoke cloud across town just rippin! Blastin’ through town with everyone gettin’ out of your way! Then to get there and run into the fire when everyone else is runnin’ out. That’s just down right fun, I don’t care who you are! Do you have a home maintenance project that could use Jeremy’s “out of the box” expertise? Email him at jeremy@arciform.com to set up an initial consultation. We look forward to hearing from you! P.S. Want to start each day in a better mood? Make every morning a pleasure in a beautiful bathroom that will stand the test of time. Explore the secret luxuries and thoughtful details that make a difference at our Timeless Bathrooms Home Design Workshop on April 9th. Get the details and RSVP here.